Mission: The Missouri State Board of Mediation resolves issues of majority representation within Missouri's public sector in accordance with state statutes and in the most effective manner possible while maintaining the highest degree of neutrality. Function: The Board is the administrative agency for Missouris Public Sector Labor Law contained in Chapter 105 RSMo, 2000. 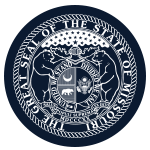 The Missouri State Board of Mediation is statutorily charged with the responsibility of determining an appropriate bargaining unit of employees and to determine majority representative status by conducting an election. Appeals from a decision of the Board may be taken to the circuit court. Compensation: Members receive a per diem not to exceed $50 per day and receive reimbursement for realized and necessary expenses.